Norman, OK – October 26, 2017 — Weather Decision Technologies, Inc. (WDT), the world’s leading decision support and weather analytics company, announced today a partnership with Australian company, Tidetech Commercial Marine Pty Ltd. Tidetech specializes in providing accurate and detailed oceanographic information to meet the specific needs of shipping and offshore industries. As their name suggests, their expertise is in modeling tides for coastal regions, but they also have a comprehensive suite of global ocean forecasts. Tidetech marine data is available today as a free demo within WDT’s WeatherOps risk mitigation system. The demo will be active until the end of November. “Tidetech Commercial Marine is excited to partner with WDT. With Tidetech’s offering in oceanography and WDT’s expertise and best of class data in meteorology, we truly believe that together we are presenting the marine industry with a comprehensive suite of accurate and reliable data unmatched elsewhere.” - Tidetech Managing Director, Penny Haire. WeatherOps by WDT is utilized to protect profits and personnel anywhere on the globe. Client types include offshore and onshore energy interests, event venues and concert tours, utilities, retail, agriculture, transportation and more. For a free risk assessment and WeatherOps trial, click here. About Weather Decisions Technologies, Inc.
Headquartered in Norman, OK, WDT provides organizations with actionable weather analytics and decision support. The company helps clients leverage weather information for profit and safety globally. 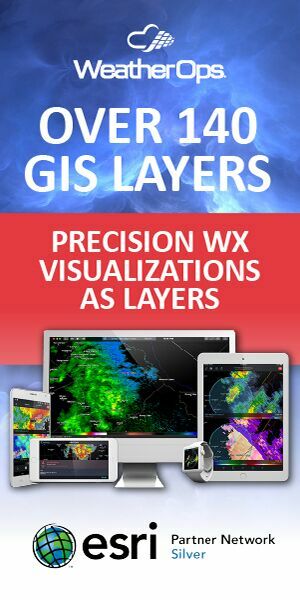 Hazardous weather detection, prediction, and decision analytics are available via WeatherOps® APIs and GIS layers, or WDT’s own leading risk mitigation SaaS platform, WeatherOps®. WDT takes business continuity activities to the next level by assigning expert meteorologists to monitor global assets and provide live, one-on-one consulting before and during severe weather situations. Tidetech is a science based company headquartered in Hobart Tasmania, the centre of excellence for marine research in the Southern Hemisphere. Tidetech are widely known for provision of high resolution combined ocean and tidal current data for the commercial shipping industry, along with a full suite of Metocean data for navigation, route optimization and vessel performance management.